Used: Not really. Someone scrawled "14 July 1961" on the back, in light pencil. Comments: I didn't consciously plan it this way, but here we are back at Normandy to conclude this Very Mini Blogathon on D-Day. 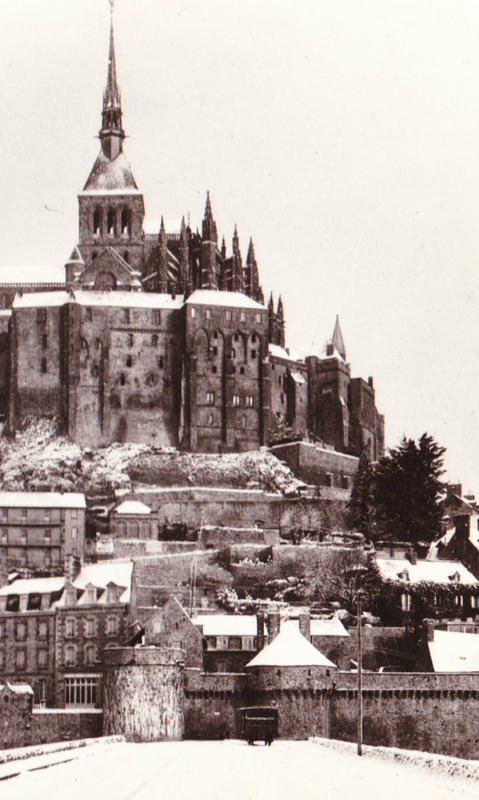 This card shows historic and beautiful Le Mont-Saint-Michel covered in a bit of snow. ... According to MetroPostcard.com, Edition d’Art Yvon, led by founder/photographer Pierre Yves Petit, began business as a postcard publisher in 1919. The Yvon images are still reprinted and sold on postcards today. 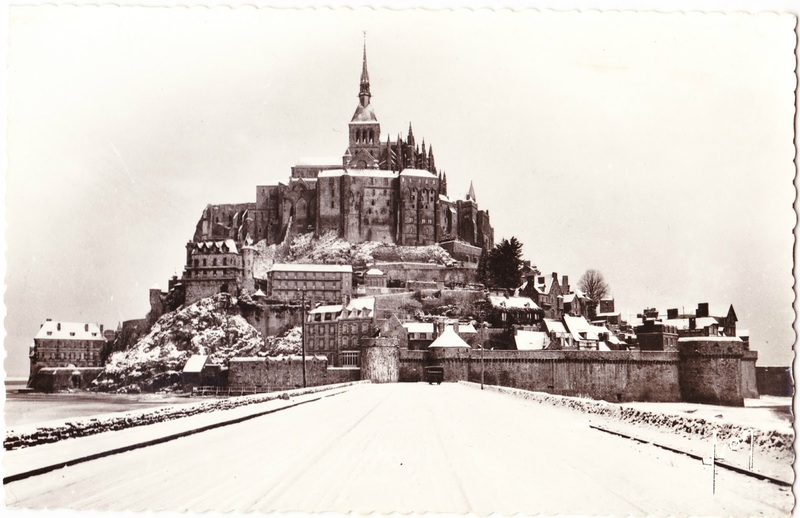 ... Mont Saint-Michel has been featured in two previous Papergreat posts: In April 2013 and June 2013.